PlayerState’s attackPowerCurrent and Total is no longer used nor sent over the network. The variables must stay to maintain cohesion with entityState though. Fixed network code to properly send short int and float types rather than a hard reliance on long int messages. Added playerstate.attackPower variable for management of your currently charging skill’s power level. Removed old applyButton interface asset. Removed duplicate media SVN psd files. Clamped edges of interface shaders. Added simple HUD behavior for displaying attack charge progress and minimum charge required. Charging alternate attack in air while jumping no longer glitches to a faux-flight mode. Fixed the explosion radius issue. The attacks deal damage EXCPLICITLY in their radius now. 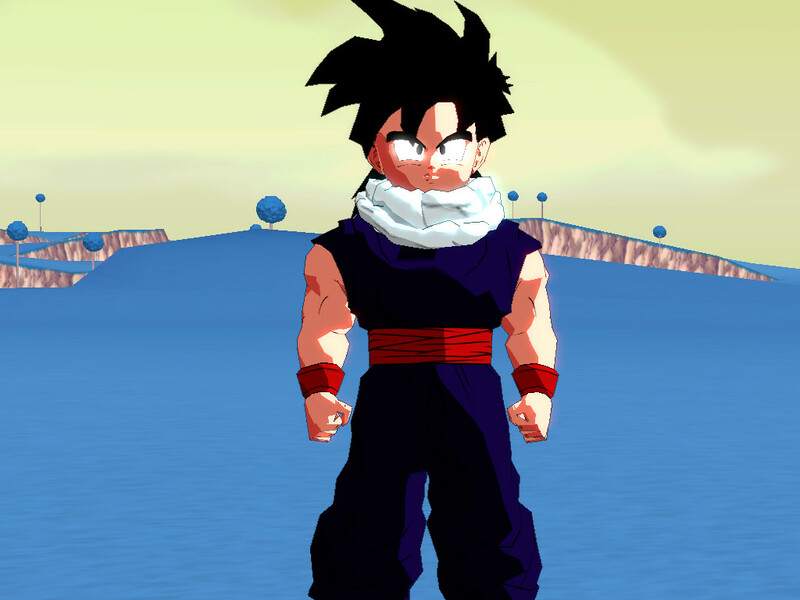 Fixed a small inconsistency in goku’s shader file. Desaturated Goku’s textures in a cel-band reliant color method test. Changes to Krillin’s .gfrx and .phys to call the destructo disk as a private version of the attack, as well as added sounds for Solar Flare and Destructo Disk. Overpowering now adds the same amount of health as health capacity increases, without using health pool. Amount of health points healed is now more accurately limited to available health points in health pool. Fixed another health bug that prevents transforming. Tuned down fatigue cost by 25% when overpowering when maximum powerlevel pool is empty. Fixed not being able to raise powerlevel at low maximum powerlevel when fatigue is at or below current powerlevel. Made maximum powerlevel pool decrements use fractionPool aswell. Fixed the transformation bug introduced earlier. Characters heal almost all the way to max now, and to max once max powerlevel cannot be increased. Fixed problem with floating point tier config breakLimitRate values being rounded down due to integer conversion. “canOverheal False” in tier config now properly prevents healing. Maximum powerlevel can now reach 32767 instead of only 32766. Maximum powerlevel pool (plMaximumPool) is now reduced at a rate relative to breakLimitRate to balance powerlevel gained. Previously different breakLimitRate’s would give different amounts of maximum powerlevel for the same amount of pool. 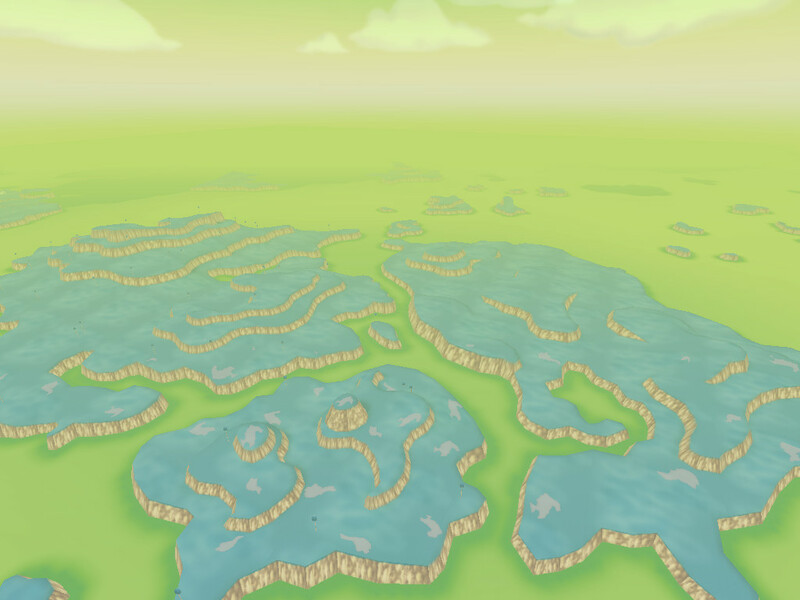 Vertex lighting on Namek, also adjusted the underwater seabed fog border to the same color as the horizon. 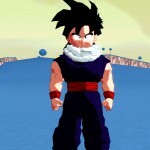 Namek – Reflections and fog added. Changed knockback recovery 2 to 1 frame for all characters in order to fix glitch. 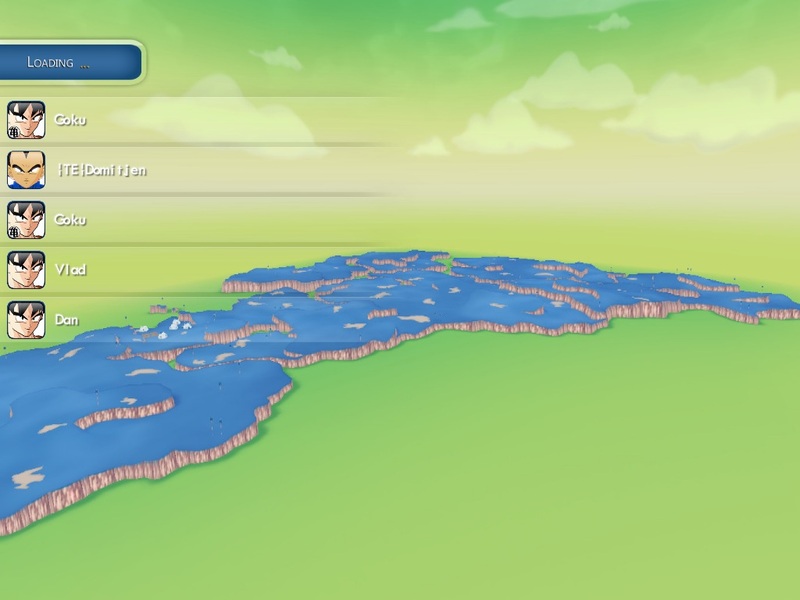 Updated Namek map, no fog or clipping, modelled some cliffs and craters on one of the south islands for Frieza’s and The Ginyu force ships. Removed nomipmaps keywords in non-interface shaders for increased performance. Added nomipmaps keyword support to stages. Added mipOffset keyword support to stages for controlling which mipmap is used. Added r_mipBias (default to -1) to control overall mipmap offset (texture sharpness in this case). Added r_mipBase/r_mipMinimum/r_mipMaximum to set the starting/minimum/maximum mipmap level allowed. Started work on r_zFar support (unfinished) for far-clipping. Started work on r_outlinesType support (unfinished) for different outline approaches. Added r_outlinesSmooth keyword for outline anti-aliasing (strange results currently). Added r_outlinesPattern and r_outlinesPatternFactor for outline stippling (unfinished). Unlocked all render cvars from their “cheat only” state for easier debugging. Fixed order of operation issue that was causing a transformation crash. 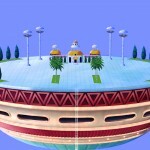 Temporarely removed buildings from lookout – Platform is now using collisions. Adjusted instant air brake to a single frame. Changed & simplified connecting/loading screens. Jump timing is now only impacted when button is held while near ground. Turbo jump timer changed from 500ms maximum to 750ms. 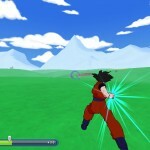 Adjusted loading graphics to be more DBZ-stylized. 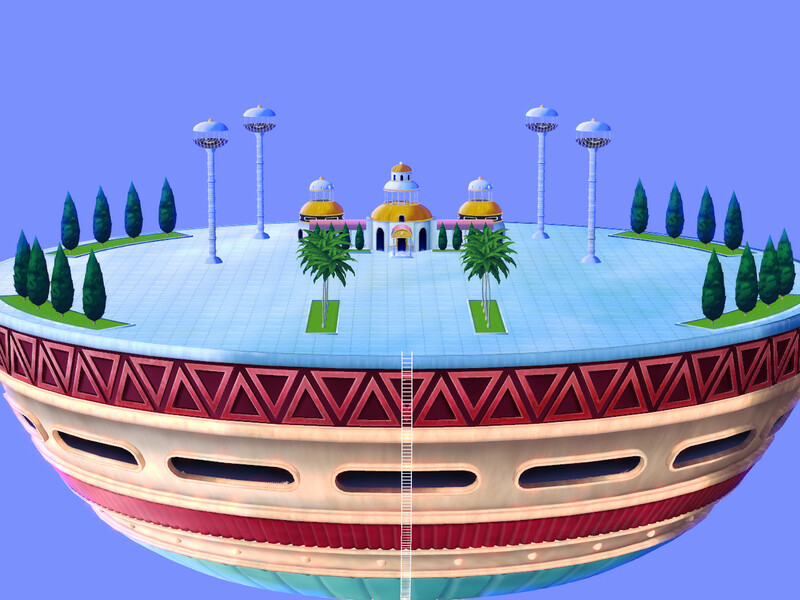 Added expanded Namek map (Work In Progress). Added Kami’s Lookout map (Work In Progress). Removed unnecessary alpha channel from several textures. Added upcoming serverbrowser graphical assets. Address/port now auto-filled on active server change. Both manual/auto entry use the same methods. Fixed issue with number of buttons decreasing if back was pressed at server-browser screen. Removed thumbs.db files that were sprinkled about. Moved the lockedTargetPS variable to it’s proper usage scope to ensure resetting. Supplemental work done to properly give widescreen support by fixing the width/height of values to 4:3 ratio (disabled presently). Fixed issue with speed and energyAttack scaling reading from the wrong arrays. Re-arranged and re-enabled many bitFlag/state/options bit values. Fixed missing airbrake event when recovering from knockback. Zanzoken is no longer possible if you have less than 15% fatigue. Fatigue recovery has been disabled while jumping or boosting. Transitioning to flight from a jump now triggers an air brake at 1% fatigue cost. Boosting is now disabled during turbo jumps. Boost cost reduced from 0.3% fatigue cost to 0.2% per 150ms. Boost now has a startup cost of 5% fatigue. Boost now offers an increased speed bonus for the first second. Walk speed fixed to 1000 units. Jump is now triggered from holding & releasing the jump key rather than pressing it. Jump can now be held for up to 4 seconds to trigger a power jump. Power jumping from a stationary (no movement keys) position will offer 25% more impact. Boosting prior/during a power jump will result in double distance covered. Jumps may now be chained/sequenced by timing a jump withing 500ms of landing the previous jump. Timing a power jump will grant the same jump strength at no charge-up time. Timing a turbo jump will increase the jump height/distance per successful jump. Timing 5 or more turbo jumps will put the player into a “blink” state where they sporadically appear nonvisible. Reworked soar mode to be more simplified. Looping/Rolling aerial maneuvers have been removed and movement keys produce no changes. Mouse movement now possible. Soar mode automatically toggles on advanced flight to differentiate the movement type. Soar mode will disable if the player goes below 15% fatigue and will not be possible again until they reach at least 20% fatigue. Soar mode is now free if you have at least 70% fatigue (down from 80%). Ball Flip now only possible on jump descent. Ball Flip gravity decreased from 3000 to 1000. Charging an attack while jumping will properly transist the player to flight. Moved all velocity cmdscale commands to a central location. Tweaked slope-surface velocity handling slightly. Added canAlter keyword for tier configs to control if the character is able to manipulate their power level. Updated slider and radio button graphics. Updated logo textures to me more contrasting. Began reworking fog code for auto-adjusting for important attacks. Moved all parsed floats to baseStats from stats and hooked up their base in bg_pmove. Adjusted keyword naming for consistency of many tier.cfg values. Added additional keywords for use with the defense system. Fixed potential bug concerning the crash state. Fixed potential exploit when jumping while charging an attack. Added support for 3D icons in the hud via the cg_draw3Dicons cvar. Added support for screen overlay effects for damage states, while idle, breaking limit, and transforming. Added support for mesh scaling/offsets per tier/character. Added support for camera offsetting per tier/character. Added support for icon state changes for damage states and powering up. Added support for custom crosshairs per tier/character while idle or breaking limit. HUD will no longer display while using soar. 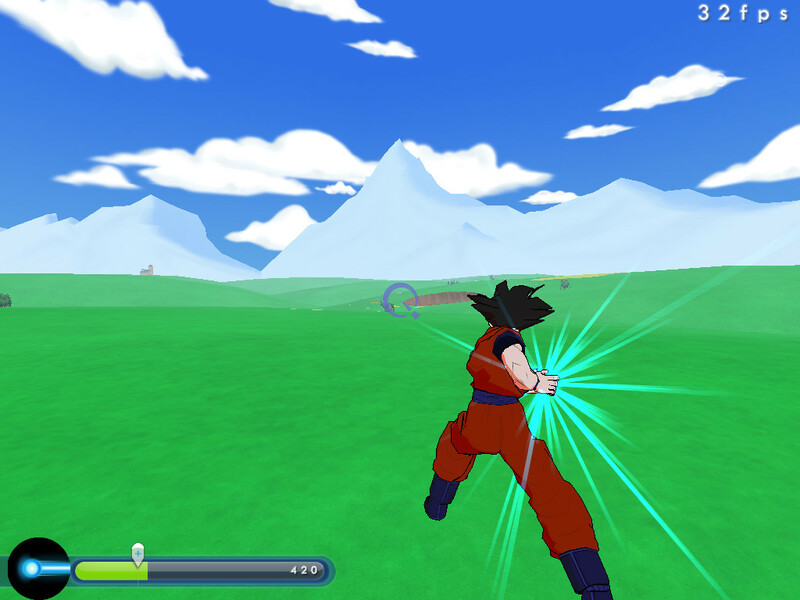 Added Back Handspring and Power Jump animations for Goku. Renamed requirementHealthMaximum to requirementHealthMaximumPct for consistency and clarity. Put parenthesis in transform requirement conditions back to the way it was. Less confusing, and compiler warns about it otherwise. Set requirementHealthMaximumPct to 100 in tierDefault.cfg and removed the code that sets it to 32767 if it’s 0 in tier config. Needlessly obfuscates the true value otherwise. Fixed few floating point constants. Added a new percent based requirement and sustain configuration for current powerlevel, so it should now scale as the player gets stronger. Adjusted the requirementButton configuration to have two versions; requirementButtonUp, and requirementButtonDown. Added Kid Gohan (Work In Progress).